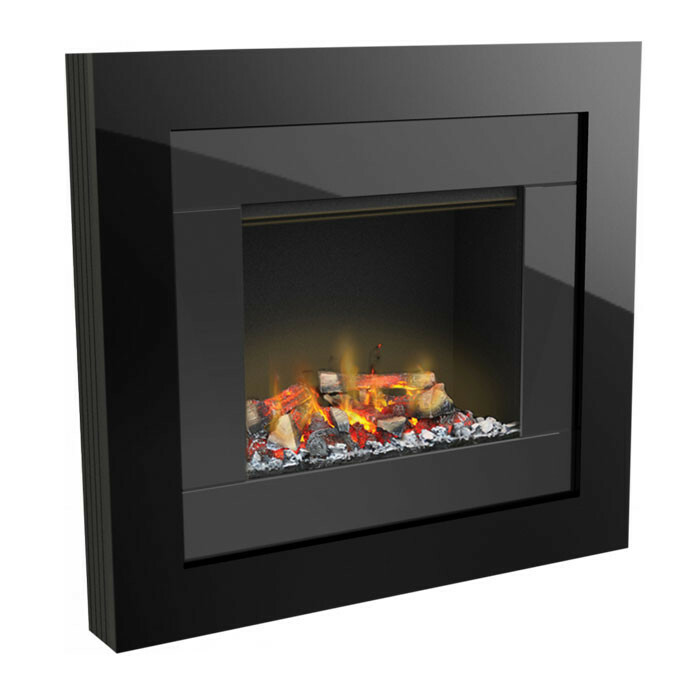 The Dimplex Redway Wall Mounted Electric Fire is a contemporary looking fire which comes with an open fronted design and in a black with anthracite finish. 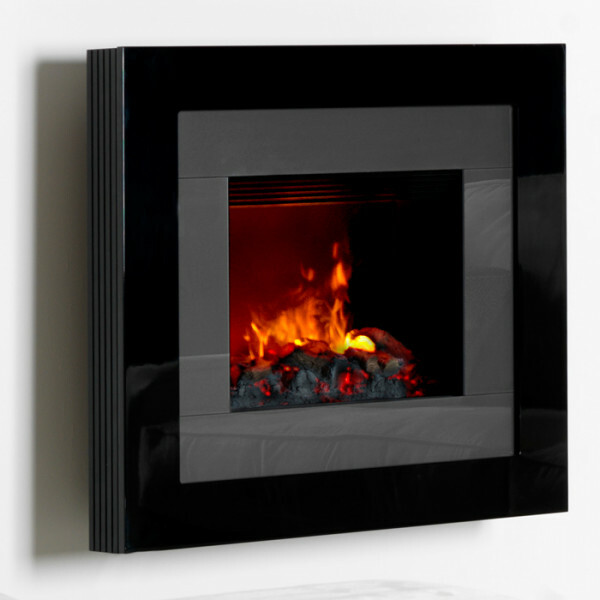 The Dimplex Redway Wall Mounted Electric Fire has the Opti-myst flame effect. 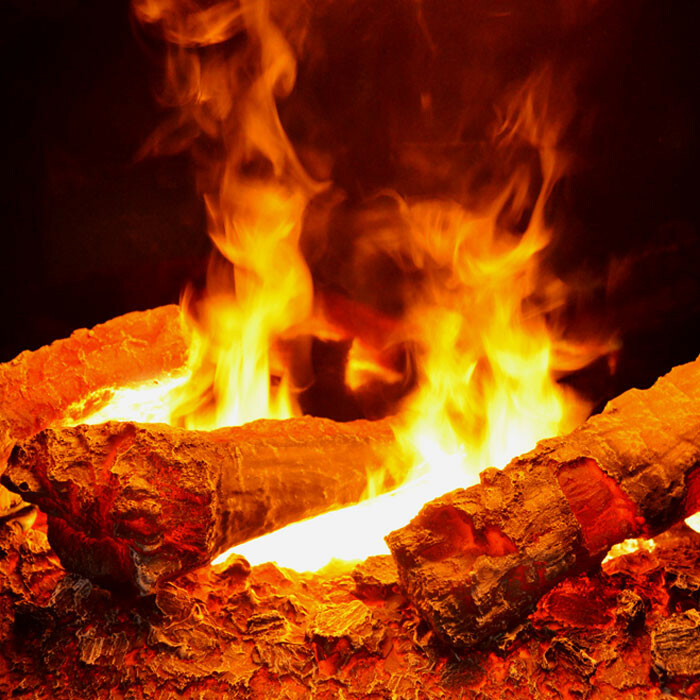 Opti-myst is a revolution in electric fire technology. 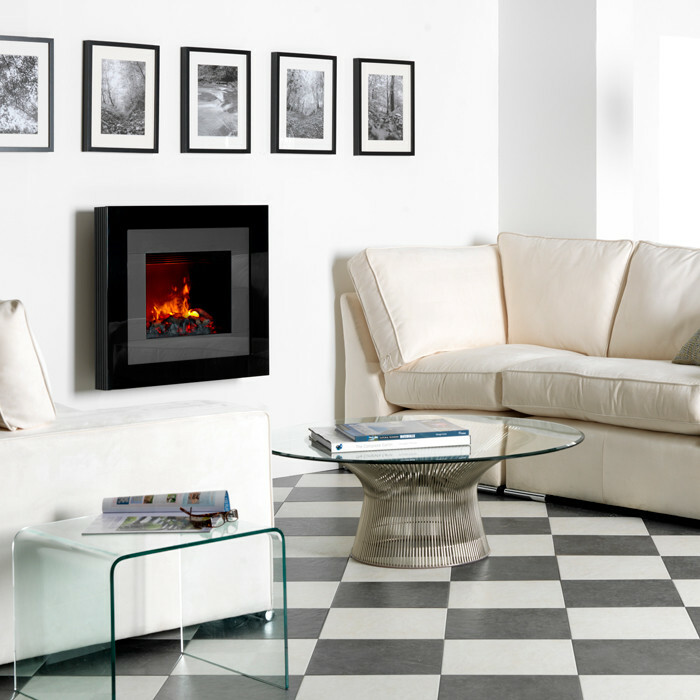 Using unique state-of-the-art technology, Dimplex have created the most realistic flame and smoke effect ever seen in an electric fire. The flame and smoke effect is created using ultrasonic waves which atomise water to create an extremely fine mist. A small fan blows the water mist over the light bulbs to produce a flickering flame effect. 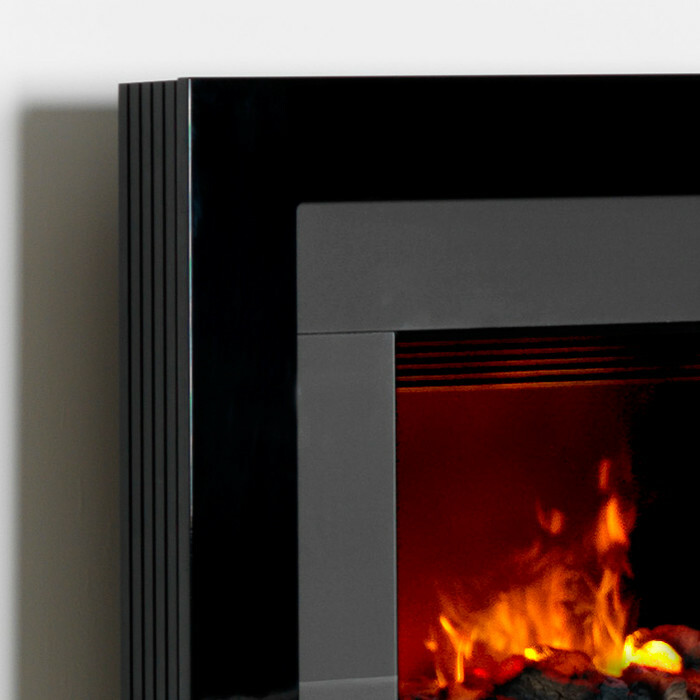 Adjustments of this fan enable the user to control the size of flame arising from their fire.The chassis on the Dimplex Redway Hang on the Wall Electric Fire can inset so that only the frame protrudes, recess required 692mm high, 634mm wide and 65mm deep.